Fabulous opportunity! 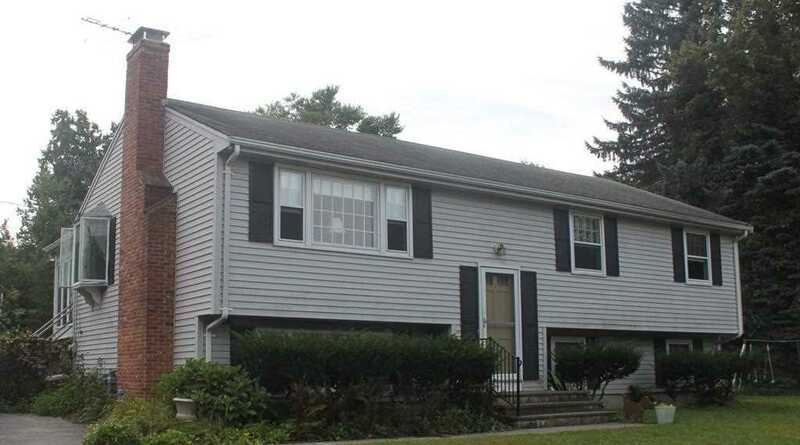 This lovely 3 bedroom (potentially 6), 2 bath, split-level ranch is a gem! Add some paint and you're ready to move in. Located on a spacious, private cul-de-sac in a beautiful, convenient North Framingham neighborhood! Ten minutes to the Mass Pike; five to Routes 9 & 30. Large fenced-in backyard with a 16' x 38' in-ground pool. Other amenities include beautiful hardwood floors, updated & efficiently designed kitchen, wood burning fireplace, sun filled 3-season enclosed porch. Finished basement needs some updating but includes 3 large rooms with closets, utility room, laundry room, and bathroom. Listing provided courtesy of Lorraine Salvucci, Carley Realty, Inc..
Real Estate Listing at 17 Cunningham Drive Framingham, MA 01701. Description: The real estate listing at 17 Cunningham Drive Framingham, MA 01701 with the MLS# 72419926 is currently listed for $416,000 and has been on the Framingham market for 72 days. You are viewing the details of the real estate listing from MLSPIN at 17 Cunningham Drive Framingham, MA 01701, which features 3 bedrooms, 2 bathrooms, and has approximately 1144 sq.ft. of living area.